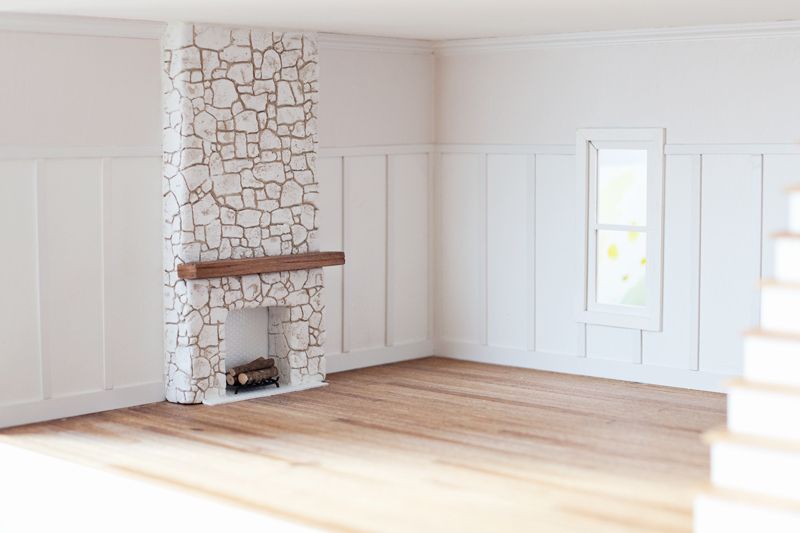 I’m finally wrapping things up with this dollhouse project, and it makes me a little bit sad. You know I’ll be changing things up from time to time, and certainly adding more details. I’d love to make more dollhouses, but I don’t have room in our home to keep them, much less work on them. Who knows, maybe I’ll be able to turn this new passion into something else— maybe a book about crafting a modern dollhouse? It’s something I’ve been seriously contemplating since diving deeper and deeper into this miniature world. There’s so much process to share, not to mention the plans for my handcrafted furniture, but it’s pretty overwhelming to think about properly documenting steps just for this little blog. I’d love to have a reason to beautifully present the process more thoroughly, in book-form. Above you can see the living room with a quarter thrown in for scale. I made the fireplace, curtains (and rod), sectional, coffee table, side table, floor lamp, and frames for the art I printed. 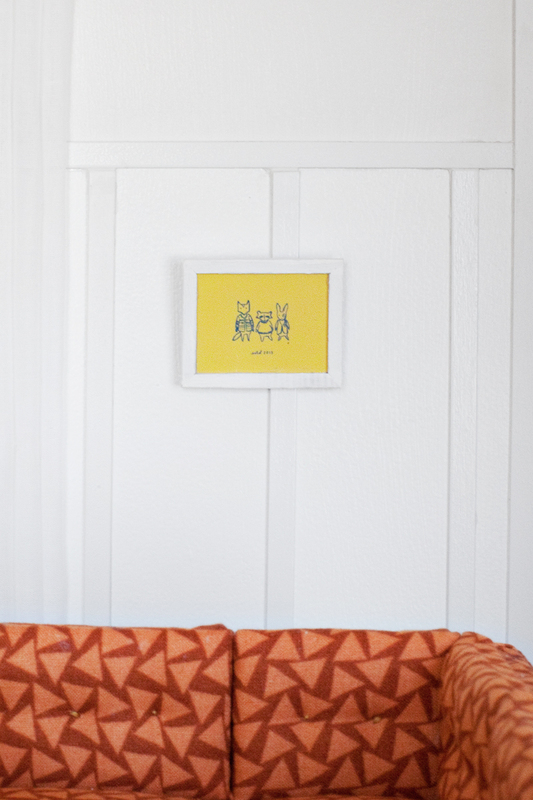 The illustration over the fireplace is by Natalie Hughes (used with permission) and the yellow Woodsfolk print is from Stitch Design Co‘s Dribble. I thought those little woodland creatures would look perfect in a Calico Critters dollhouse. 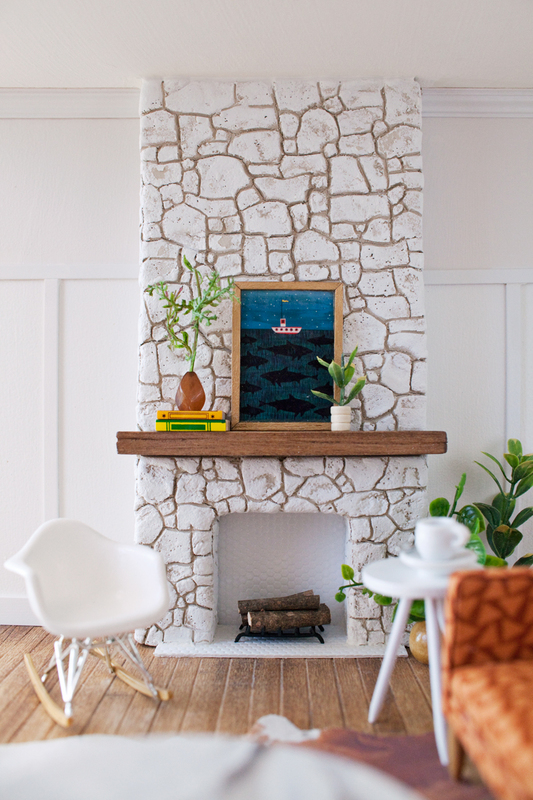 The ship with sharks (above the fireplace) also adds the perfect element of whimsy and humor. I may be a little obsessive about every detail— even the art! Eames rocker – Reac Japan 1:12 replica I found on eBay for about $20— a splurge as far as I’m concerned! The picture above shows how the first floor looked after the floors were scored and stained and after the walls were painted. You can see I used a slightly different shade of white above the untinted white paneled area. I used wood spaces to evenly place my pieces of painted bass wood trim for the paneling. 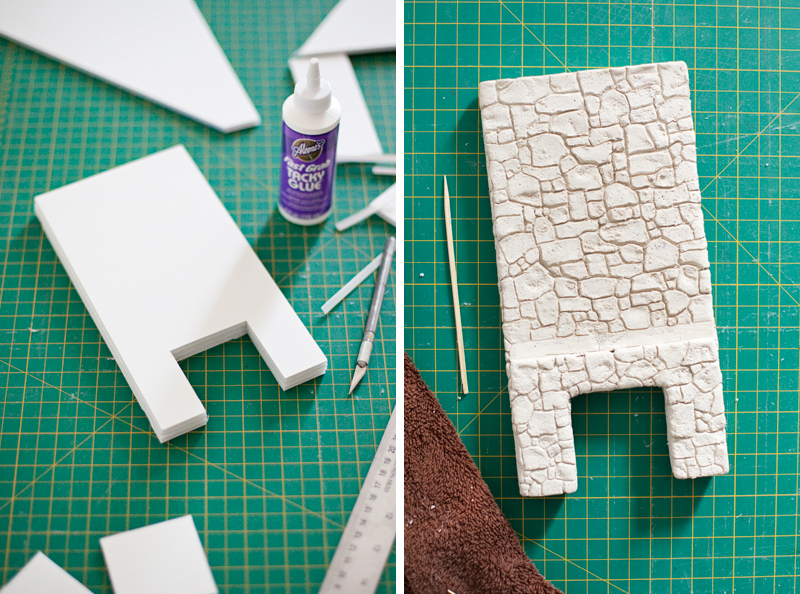 I glued each little strip of wood with quick grab tacky glue and then caulked any cracks after the glue dried. (Yes I’m insane and I caulked a lot in this dollhouse because even tiny cracks become super obvious when working in 1:12 scale!) Now let’s talk about the fun details I made! The fireplace was much simpler than I expected it to be, though I will say it was fairly time consuming. I’m estimating that it took about 3-4 hours of labor to complete. I first made the base with pieces of foam board that I glued together. (I ended up adding a bumped-out portion below the mantle area after I took the above left photo.) Then I rolled out a sheet of air-dry clay to cover the foam board. Before covering the foam board with clay, I brushed it with a liberal amount of tacky glue. Then I draped it with clay and trimmed off any excess. I made my mantle before carving the clay, so I made sure to press it into the clay, marking where I would glue in the mantle after the clay had dried out. To form the fieldstone appearance, I used a bamboo skewer to dent and scrape the clay, keeping the unworked area of clay covered with two layers of damp paper towels so the clay wouldn’t dry out. I also used a wash cloth to push in random areas to give the stones dimension, also blotting the entire surface of the stonework with the cloth to add all-over texture. In addition to the cloth, I used a thick bristled hair brush to give the stones a porous texture. I let the clay dry out for two days without handling it much— I didn’t want to risk cracking. Then I used a foam brush to dab the surface of the bricks with white primer. Here is the completed room with all of the architectural details in place. Ready for decorating! First I needed to decide what kind of window treatments to use. 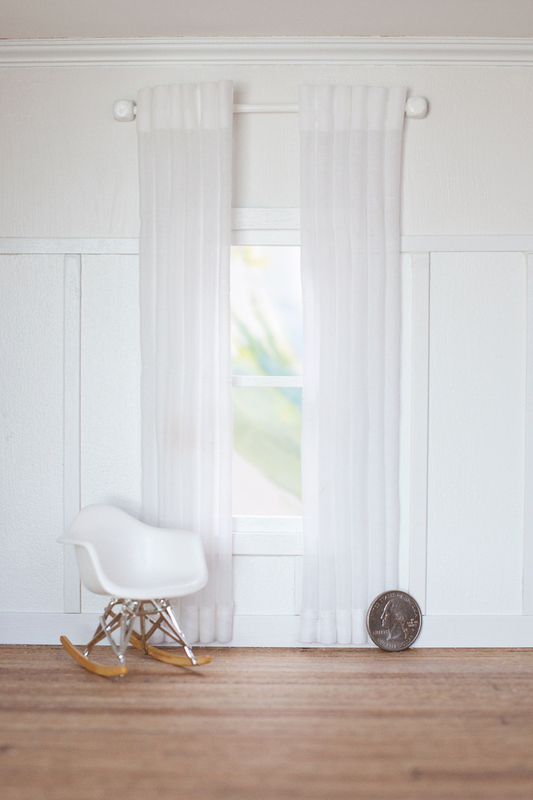 I decided on semi-sheer white curtains, just like I have in my own home. It’s the perfect choice for those of us who are noncommittal and enjoy a simple design aesthetic. To make my curtain rod, I simply glued a trimmed bamboo skewer to wooden beads and painted it white. Then I glued the rod to the wall at the beads. The bead finials brought the rod out from the wall about 1/8″. Then I glued on each curtain panel, which I made by starching pieces of semi-sheer white cotton. I simply arranged the curtains onto a piece of foam board, using dowels to give it the gathered appearance, and straight pins poked through the fabric and into the foam board to keep everything in place before spraying with a generous amount of starch. After it dried, I removed the pins and dowels and had perfectly crispy curtain panels that were glue-ready. Step One: Cut your dowel to the desired height of your floor lamp. Then sharpen one end with a pencil sharpener or with sand paper. Step Two: Drill a hole in the very center of your wooden coin. This should be a hole perfectly sized for your dowel diameter. Step Three: Glue the dowel into the hole of your wooden coin. Step Four: Cut your ping pong ball in half with a sharp Xacto blade. This is easy to do, as the blade easily will follow the seam in the ping pong ball. Sand down the cut edge so it is very smooth and even. 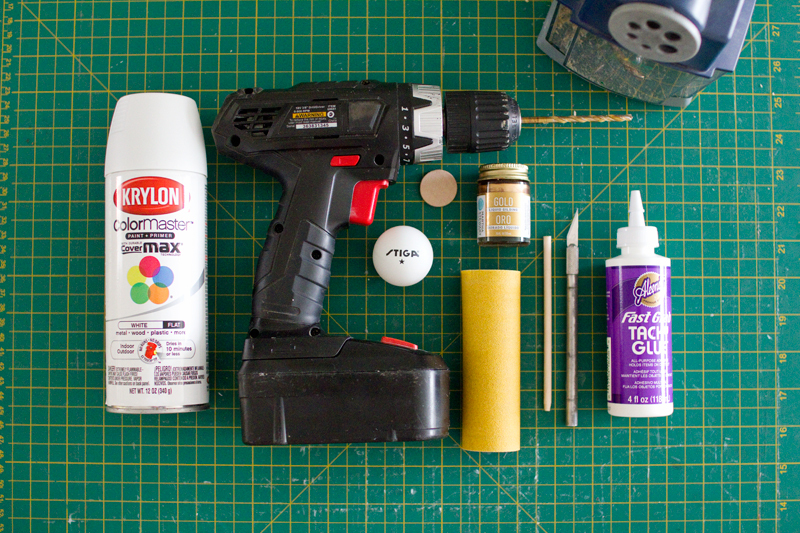 Step Five: Drill a hole into the very center of the ping pong ball half. This should be a bit smaller than the diameter of your dowel. 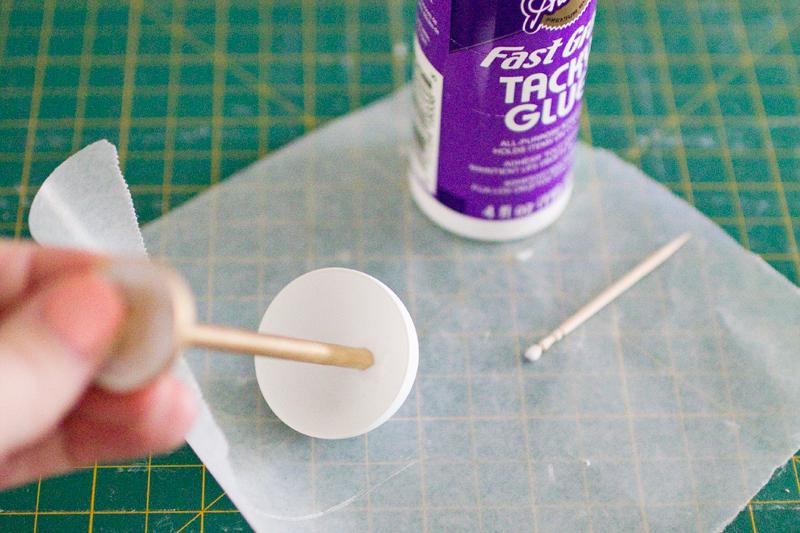 Step Six: Prime and paint the base of the lamp— the dowel and the wood coin. Step Seven: Glue the ping pong ball shade onto the base of the lamp. That’s it! 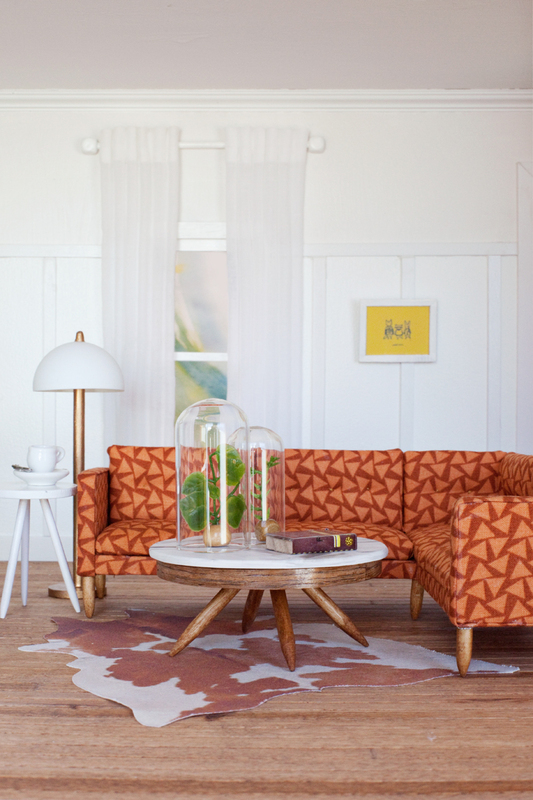 I had to stop myself from putting a glamorous little floor lamp in each room! I also made tons of little house plants using beads as vases and trimmed pieces of artificial floral materials. I sanded down the bottoms of the beads so they would sit straight on flat surfaces without falling over. To make cylindrical vases, I stacked together small beads, as seen on the right side of the fireplace mantle. I found a set of mini glass cloches (which I used my 60% off coupon for at JoAnn) which I placed over smaller houseplants on the coffee table for a nice little display. 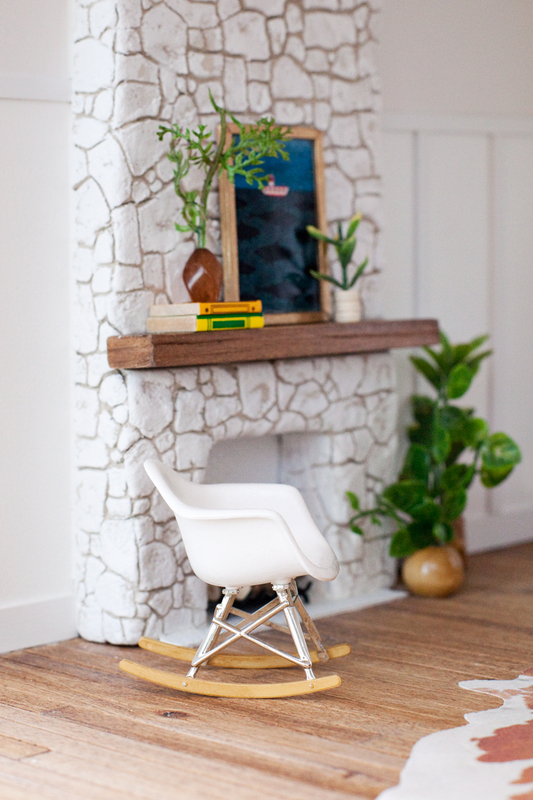 Making houseplants was one of my favorite little dollhouse projects! I do still have to add the stair rail, which I hope to do in time for Christmas, because I definitely bought some tiny garland that I’d like to drape on the handrail. Because I’m a crazy person! And also because I don’t have a real-life stair rail to decorate, so this is the next best thing. If not the better thing. Thanks for following along on this process! I get so excited to share each little detail with you, and hope that I can inspired some of you to begin your own miniature journey. And no— you don’t need kids as an excuse to do this! It’s probably easier if you don’t have children, actually, because then you don’t have to share your toys! :) Next up I’ll be sharing the kitchen. You may have caught a sneak peak of that on my Instagram. Tomorrow I’m making the vent hood and open shelving for display tiny dishes! If you don’t hear back from me, it will be because I died from the cuteness of it all. So lovely. A great way to indulge in styling a home .. without having to move house! Thank you for sharing this!! I loved it!! OMG. I’m dying over this room. I love it! I would LOVE if you did a dollhouse book! I am loving this miniature series that your doing! I really want to make one myself one of these days but I don’t have kids! Is it cool if I make one for myself? Totally! Many miniaturists just do them as a hobby. I think it’s actually easier if you don’t have little hands that want to help and then ruin what you’ve done! ha! Mandy this is absolutely stunning! You are so talented. Best doll house I’ve ever seen! This is so fantastic and cute. :) You got some talent, girl! I think my favorite part is the ‘painting’ of the ship and the sharks. I would totally hang that on my mantel. I love this so much!! I bought a dollhouse kit back in September and haven’t started it yet because of the holidays. yours has me super excited to start mine after the new year. mine won’t be as modern as yours because I’m into more of a farm house style, but I’m learning so much from you. thank you!! You’ll have to link up what you work on— I’d love to see it! Best of luck to you. I’m seriously impressed with this, it looks so real. 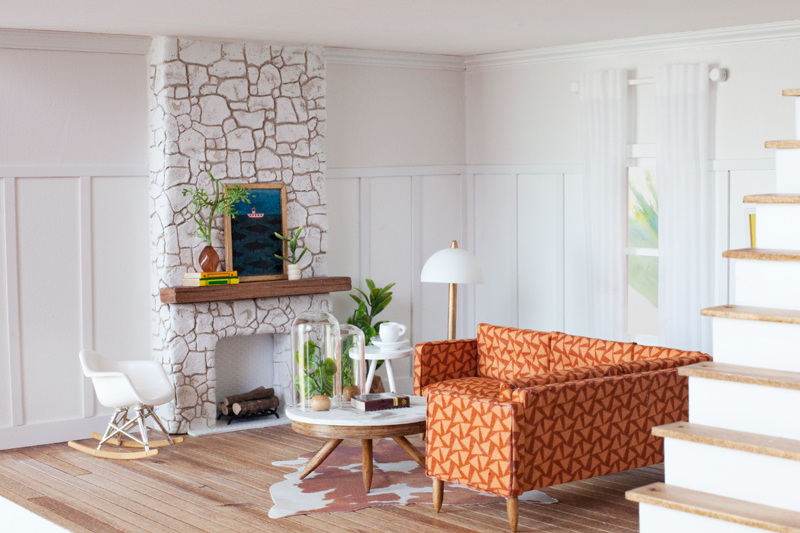 When I first scrolled by the image you posted on Instagram I thought it was a real living room! You should totally make a book, I know I’d buy it :) I have two old dollhouses that I intend to renovate someday so I could do with some inspiration. I’m going to be honest with you–I did not expect to get obsessed with this project. But I absolutely am! I want to make a dollhouse! Oh wow! Your miniatures are the best! 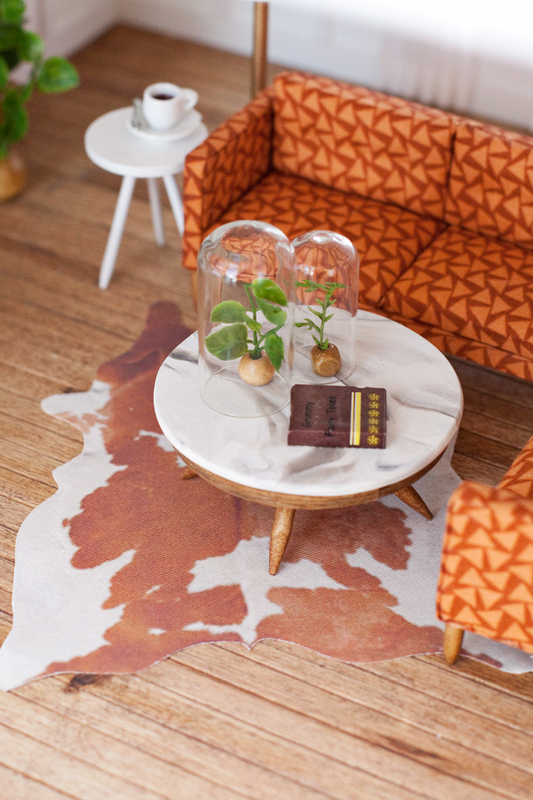 I love your dollhouse blogposts! 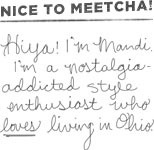 oh Mandi… I’m totally enamoured by how incredible you & your dollhouse are! 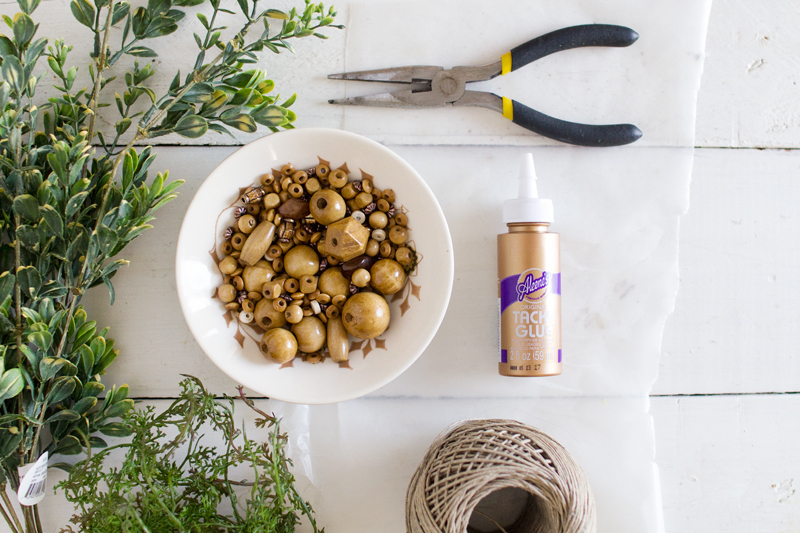 The photo below the bowl of wood beads honestly looks like a stylish room tour photo in a magazine… it should be in a magazine!! 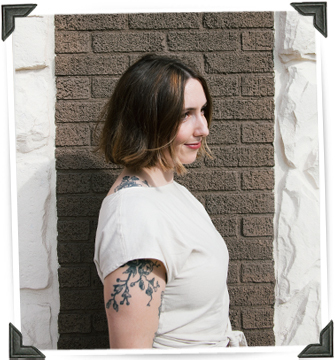 I’d love to read a book by you about Miniatures from your perspective and style. I hope that happens for you! Since my Aunty had a dollhouse when I was young, it’s always been something I’ve wanted to try, but I’m kinda scared to get started. I’d want it too look as realistic (like yours) as possible, and worry that it won’t be. I did stitch tiny pillows for my friends art diorama recently (a bedroom), and it was thrilling. 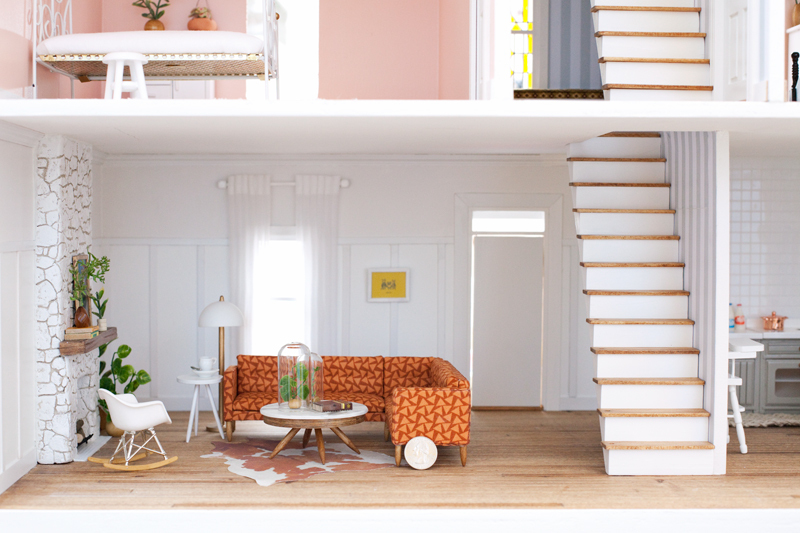 Maybe I could start with a Dollroom, instead of the whole house… I’d like to take my time with it, and a room feels like a better sized commitment for me :) Which room do you think would be a good start for me? I am totally blown away by the amazing details on this project. 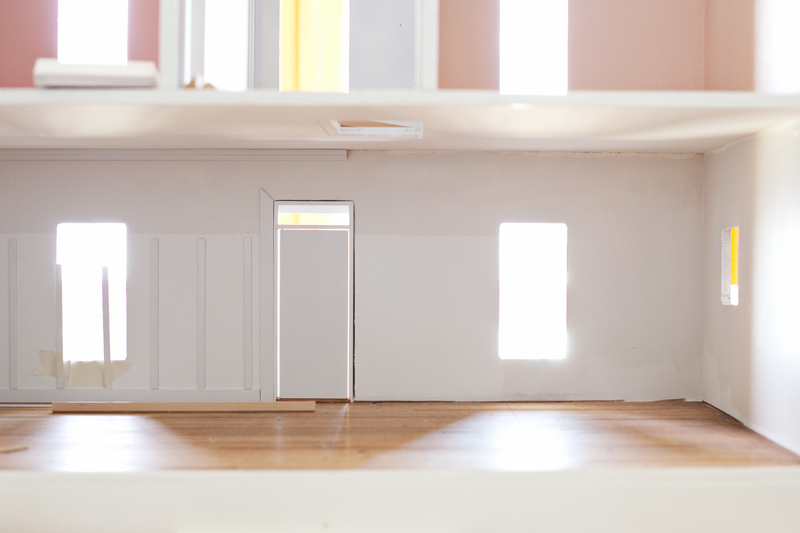 I am an architect (who never had a dollhouse growing up) and you’re putting me and my profession to shame! Keep it up! Thank you, Claire! I studied interior design in college, and worked in the field for a short bit. But this is way more fun! hehe! I was drawn to this page because of your stone work on the fireplace! So beautiful. I’m doing a similar project and was wondering what kind of air dry clay you used? Paper clay? Also, did the clay ever warp the foam board after drying? I’m trying to make a stone floor base that’s about 5″x7″ but it needs to dry/lay flat. Your stone work looks so real!